OVPs essentially propose four measurable services: hosting, publishing, managing and sharing. 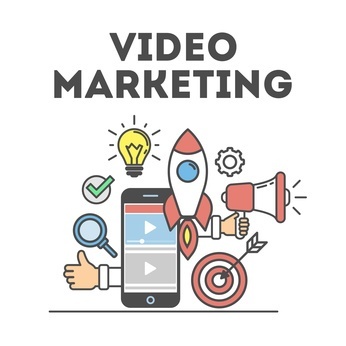 Depending on your communication and business objectives, there are choices to be made as you seek to optimize the success and hence the return on investment of your video marketing. Do check out our IBT Online Video: the only way is up! blog on the subject. 1. YouTube = is by far the stand out video platform leader. In terms of community there is no rival as YouTube states: “YouTube has over a billion users–almost a third of all people on the internet–and every day, people watch hundreds of millions of hours of YouTube videos and generate billions of views”. From a search engine perspective YouTube is unavoidable, as it is the 2nd largest search engine on the internet! In terms of direct cost; it’s free! Analytics has improved and there is a Creator Academy (again free). There are a huge number of plugins. But we do have two reservations: the first is the YouTube “vortex”, getting lost between advert placements, competitor videos, lack of control and the volume and speed of the platform. The second reservation concerns the limited integration choices. And finally from an IBT Online Global perspective “YouTube has launched local versions in more than 88 countries. You can navigate YouTube in a total of 76 different languages (covering 95% of the Internet population).” So YouTube definitely operates on the global scale! 2. Facebook = with >2.27 billion monthly active Facebook users (09.2018), Facebook is the mastodon of the internet. Back in 2016, CEO Mark Zuckerberg claimed that within five years most of what people consume online will be video. Ever since social platforms became filled with promotional content and advertising, it's gotten even more challenging to reach and connect with your audience. Videos are there to make it significantly easier. For international Facebook users, the increase in Facebook videos published is a still-impressive 75% annual growth rate. Facebook story, live streaming, makes it possible for all of the site's users to become real-time broadcasters. Further expanding across borders, is well supported as businesses use the lookalike Audience tool via paid advertising to reach customers in new countries who are similar to their existing ones. 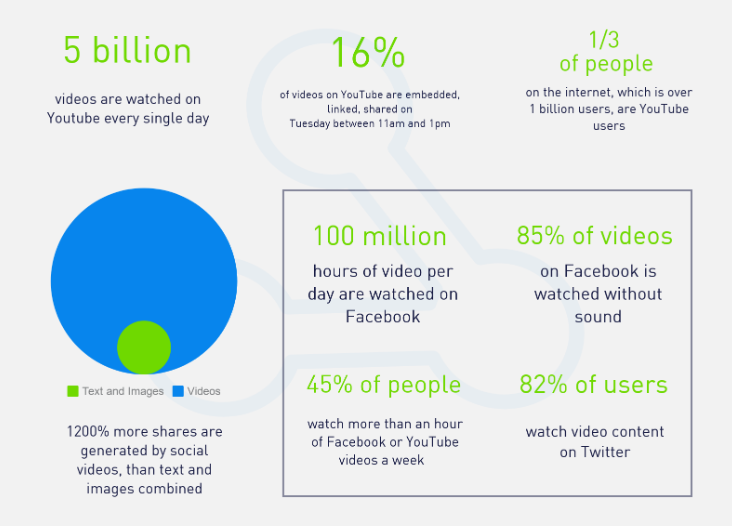 Comparing the two: Facebook video statistics put the amount of Facebook videos watched at 100M hours per day (Recode), while Business Insider reports that YouTube earns roughly 6 times that amount (650M hours). So tailor the length of you videos to user behavioral data. 3. Instagram = At >700 million people worldwide, a strong community of visual (capture and share) storytellers with live-stream video, video streams, photos. From a business perspective, >5 million businesses worldwide “tell their stories at the centre of visual discovery”. 4. Periscope = Twitter’s live-streaming video app (to deal with Meerkat), was late to the game (launched 02.2015). It allows people to live-broadcast via their Twitter feeds. Keyvon Beykpour, Periscope’s co-founder noted: “We think we’re building a teleportation product,”. Technically very well reviewed. 5. Dailymotion = users can upload, watch and share videos, available all around the world, in 18 different languages and 35 localized versions. eam on mobile, tablet, and TV in our gorgeous, ad-free player, which supports 4K Ultra HD and 360 video”. There is no question Vimeo is loved by the professional video creators for its quality, ability to be creative the music and so on. Their video school...probably the best arty tutorials. 7. Wistia = Built specifically for businesses to grow their brand awareness, attract new and maintain existing customers. Wistia has a library and blog feature with lots of great tutorials. Videos are easy to track marketing performance, built-in analytics and video marketing tools providing detailed statistics and measurements of engagement online. Cost: $25/month for 25 videos! Globally, the delivery network (>150,000 servers worldwide) provides viewers great playback experience. 8. Brightcove = leading provider of cloud services for video; early into the market. Enterprise-level video hosting platform with live streaming capabilities, integrations including YouTube. In conclusion, do check out these leading OVPs. There is lots to learn and you will come to conclusions as to what works best for your business. With YouTube and Facebook, there is no escaping their sheer community size, search scope, cost etc., so you just have to be there. But it is the next level OVPs that are a lot less obvious, demanding some sort of strength/weakness evaluation, review and then testing. Finally think through the cost of implementation and most importantly extrication, as exiting from an OVP can be a difficult and costly process. Best to get this right (as always) first time! So now it is up to us to wish you and your videos huge success, may you go viral!